"If you ever wanted to be a published author, you need to stop writing fan fiction immediately." I blinked, wondering how I'd gotten from standing in line for a snorkel at the beach to having my entire geeky world upended in one sentence. Several minutes earlier I'd struck up a conversation with the woman in front of me, who turned out to be a published author. It was January of 2016, so I was about 15,000 words deep into what would eventually become a monstrous, novel-length fan fiction sequel to The Force Awakens, and was so hopped up on having someone to talk writing with that I told her as much. When my first book was published, I thought it would be an overnight success based purely on the topic and the fact that I knew the world needed it. My genius marketingplan was to simply publish it. If it exists on the internet, people will find it, right? Undeterred, I decided that the ticket to my success was that coveted Amazonbestseller ribbon. That will solve all my problems, I thought. Literary and visual arts magazine published each spring. Founded in 1976 as a print publication. Online only since 2012. Prefers email submissions, but will accept submissions by post. See website for full guidelines. Everyone’s got a novel inside them, right? According to Richard Skinner, director of the fiction programme at the highly-esteemed Faber Academy, and author of one of several new books offering advice to aspiring novelists, while this may be true, “very few manage to arrange themselves and their lives well enough to get it out”. Thank goodness for that, judging from the mountains of novels that do get written, mostly rather badly, which daily arrive at literary editors’ offices by the sackload. If ever there was a good reason to keep it inside you forever, a week spent watching how ruthlessly we dispatch books like so much waste paper should do the trick. But that’s not the prevailing wisdom. 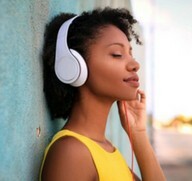 Nowadays, even if mainstream publishers reject your manuscript, you can still be a novelist, thanks to the proliferation of self-publishing companies and creative writing courses, both booming businesses. Literary baseball magazine, publishing poems, fiction, prose, art, and book reviews relating to baseball. Potential contributors must publish a sample copy ($6) before submitting. See website for full guidelines. How long does it take to create a book from start to finish? For 44 authors, 33 illustrators and 29 editors, publishers and marketers gathering in Jerusalem Thursday night, they’re hoping the answer is eight hours. The project, being hosted at the JVP Media Quarter, is the brainchild of tech entrepreneur Uriel Shuraki. A new, revised edition of G. Miki Hayden's award-winning guide for mystery writers has just been released, and is now available to buy both in print and as an ebook. 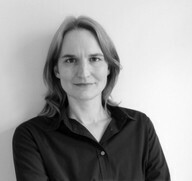 G. Miki Hayden is a long-time member and former board member of Mystery Writers of America, and regularly teaches a mystery writing workshop (and other courses) at Writer’s Digest online university. 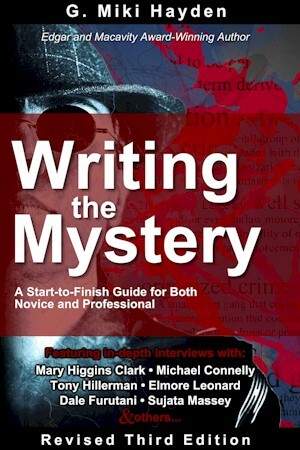 This third edition of her book, Writing the Mystery: A Start-to-Finish Guide for Both Novice and Professional, provides invaluable step-by-step advice on shaping plots, developing characters, and creating a fast-paced and compelling mystery for the modern market. It includes practical exercises, guidance on how to approach agents and publishers and get your novel to market, and a whole new section on the self-publishing phenomenon that has exploded since the publication of the first edition.